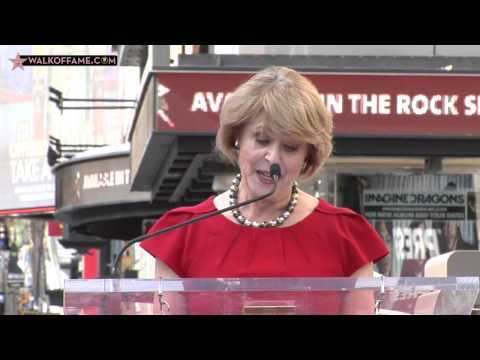 Watch the Ray Dolby Walk of Fame star ceremony below. A native of Portland, Oregon, Ray Dolby is recognized around the world for developing groundbreaking audio technologies that revolutionized the recording industry and enabled cinema sound to deliver the same emotional intensity as images. He founded Dolby Laboratories in 1965 and created an environment where scientists and engineers advance the science of sight and sound to produce spectacular experiences. Dr. Dolby’s pioneering work in noise reduction and surround sound led to the development of many state-of-the-art technologies, for which he holds more than 50 US patents. Dolby Laboratories continues to deliver breakthrough audio and video technologies. Early in Dr. Dolby’s career, while attending high school on the San Francisco Peninsula and then Stanford University, he worked at Ampex Corporation and was the chief designer of all electronic aspects of the first practical videotape recording system. In the nearly 50 years since Dr. Dolby founded Dolby Laboratories, the company has transformed the entertainment experience from the cinema to the living room to mobile entertainment. Tens of thousands of films and billions of products and devices with Dolby technologies have made their way to theatres, homes, and consumers’ hands around the world. The industry has awarded Dolby Laboratories with 10 Academy Awards® and 14 Emmy® Awards for its groundbreaking achievements throughout the years. Today, the company’s audio and imaging technologies are an essential part of the creative process for recording artists and filmmakers, who continue to use Dolby® tools to bring their visions to life. As a former Marshall Scholar, Dr. Dolby was also awarded the George C. Marshall Award in 2003. He was inducted into the National Inventors Hall of Fame in the United States and the Royal Academy of Engineering in the United Kingdom in 2004. In 2012, the iconic Hollywood landmark known to the world as the home of the Academy Awards was renamed the Dolby Theatre® and the site of the post-Oscars gala was renamed the Ray Dolby Ballroom in honor of Dr. Dolby. Together, Dr. Dolby and his wife, Dagmar, were active in philanthropy and supported numerous causes and organizations. In recent years, two centers of science, research and patient care opened with their support: the Ray and Dagmar Dolby Regeneration Medicine Building (which houses the Eli and Edythe Broad Center of Regeneration Medicine and Stem Cell Research center at the University of California, San Francisco) and the Ray Dolby Brain Health Center at the California Pacific Medical Center in San Francisco.